Find out how our bold vision for redesigning business education will teach you to go beyond the functional areas of business to consider the big picture, and develop a new way to think about creative problem solving and collaboration. "Rotman teaches Integrative Thinking and Business Design extensively to solve a plethora of problems. I do believe that the problems that both business and society will face tomorrow will require a new way of thinking." "In the ancient world, if you were interested in philosophy, you went to Greece. 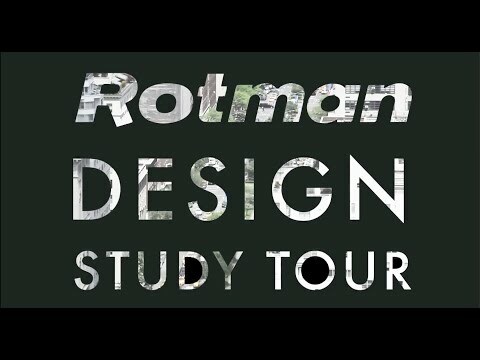 Today, if you're interested in Business Design, you go to Rotman." MBA Students toured firms around New York City.